Noida, (6/12/2018): The Noida-Greater Noida Metro is the talk of the town these days. With the speculations that it will start from the end of this December, people have been waiting since long for an official statement from the authorities responsible. The Aqua Line Metro will connect the Noida and Greater Noida. It will be a one colour-coded line, with a total of 29.7 kilometres. 21 stations will be there on the Aqua Line Metro, which boosts of many different facilities. The Aqua Line will begin at Noida City Centre in Sector 32, and will head towards Greater Noida via stations in sectors 50, 51, 76, 101, 81, on the Dadri road, 83, 85, 137, 142, 143, 144, 147, 153 and sector 149 in Noida. It will enter Greater Noida through Knowledge Park-II and traverse Pari Chowk, Sector-Alpha 1 and 2, before terminating at Depot station proposed near recreational green, Knowledge Park-IV in Greater Noida. P.D. 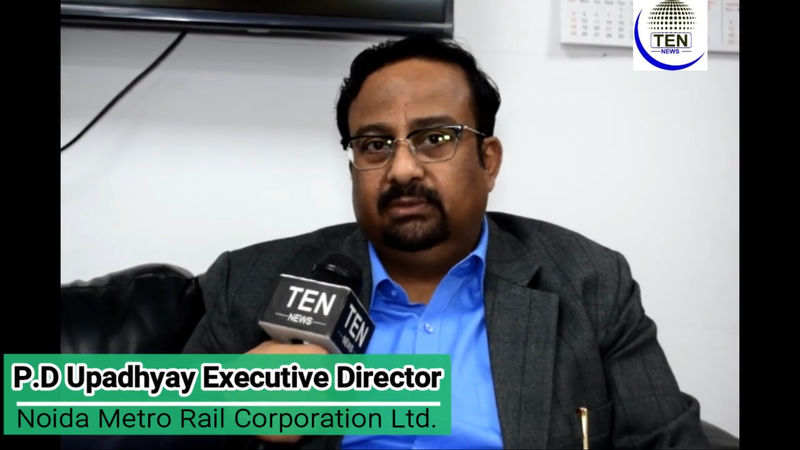 Upadhyay, Executive Director of NMRC, while talking to Ten News told us about the differences that Aqua Line Metro Station will have, as compared to other metro stations of DMRC Network. When asked about the security operations, he told us that “the State Government of UP have for now decided to employ Provincial Armed Constabulary (PAC) for the security operations of the metro, until the CISF will overtake the security operations. Also, there will be cameras outside metro stations for the security reasons of the commuters”. On the problem of traffic congestion, he said, “We will allot special places for e-rickshaws and started bids for e-rickshaw services only for the metro stations. We have 50 feeder buses which will run between and Noida and Greater, and these transports will be assigned special places for pickup and drop services and no standing traffic will be allowed outside metro stations”. The Noida Traffic Police will monitor these facilities, he added. सावित्री बाई फुले स्कूल में वार्षिक खेल दिवस का आयोजन, जीबीयू वीसी ने छात्राओं के अनूठे कौशल को सराहा तो ग्रेटर नोएडा सीईओ बोले ‘छू लो आसमाँ’!